Most people think of an urgent care facility as something of a cross between a hospital and an emergency room – patients visiting an urgent care clinic don’t really need to be admitted for long-term treatment like a hospital, but they also don’t have a problem serious enough to be admitted to an emergency room setting. Generally speaking, the kinds of treatment performed at an urgent care facility include treating injuries and illnesses which are too serious to ignore, but not quite so intense as to call for emergency treatment. There are probably several clinics in the region where this kind of care can be delivered to patients in need, but we like to think that the best Yuba City urgent care is provided by Families First Health Center, because we provide that little extra service that so few medical facilities do – we care. Compassion and genuine caring for all patients who come to us is one of the things that sets us apart as a medical facility, and it’s the part that we do our very best to provide every patient with at our Yuba City Family Clinic facility. We take great pride in the fact that we offer this kind of urgent care in the terrific Yuba City area, which is a wonderful place for people to work, raise families, and enjoy the many activities offered in this section of Northern California. What's the difference between urgent care and an emergency? Sometimes it’s hard to tell whether you should contact an urgent care facility or an emergency room to deal with a situation you have at home or elsewhere. Going to the emergency room should be limited to life-threatening situations such as a heart attack, a serious head injury, or any condition which can endanger a person’s life. Any problem which has the appearance of being potentially life-threatening should be referred to 911, so that the most rapid response can be set in motion, and the least amount of time is wasted before treatment. Knowing the kinds of situations which call for emergency room treatment should thus make it more clear which are the kinds of situations requiring lesser treatment like urgent care. In the most general terms, urgent care should be invoked when a situation does not seem to be life-threatening, but on the other hand appears to be severe enough that it should not wait until the next day. The primary purpose of urgent care is to serve as a kind of replacement for your family doctor or general physician when it is not convenient or possible to quickly schedule an appointment with him/her. It’s also possible that a mishap or accident occurs after a doctor’s office hours, and in situations like that, only an urgent care facility may be available for the kind of treatment needed, including weight loss. At our UrgentCare in Yuba City, you can rely on or doors to be open and our staff to be ready to handle any and all situations requiring urgent care, regardless of the time of day. You are certainly free to call ahead and alert us to a situation you or a family member have experienced, so we can be prepared prior to your arrival, but it’s also acceptable for you to just walk right in and receive treatment without any kind of appointment. At certain times when more incidents are happening around the city, there may be a few patients ahead of you, but without a doubt you can count on receiving needed care at the very earliest opportunity. Feel free to walk right in, and let us help you! There are a great number of accidents and mishaps which can occur around the household, at the workplace, and during all kinds of activities which may require immediate urgent care at a well-equipped and well-staffed facility such as Families First Health Center. We have handled practically every conceivable kind of mishap, including slips and falls, mild to severe cuts, asthma attacks, severe stomach aches and headaches, flu symptoms, broken bones, allergic reactions, fevers, severe cases of diarrhea, and even episodes of vertigo. There are many more situations than even this list contains, which have been promptly and efficiently treated by our urgent care personnel, so there are probably very few kinds of mishaps or illnesses which our staff has not had experience with. That means you can count on being treated effectively by skilled medical professionals who are not just putting their time in, but are instead offering their concern and their compassion to each and every patient entering our facility. Our staff members and our facility have been providing quality care to patients in the Marysville and Yuba City areas for more than 20 years now, and during all that time, our commitment to the community has remained solid and unchanging. We feel that area residents are more than just our patients, and are also our friends and neighbors. That’s another reason why we go the extra mile to make sure everyone receives quality care in the quickest, most effective manner possible. We live and work in this same community with all our patients, and we are proud to consider ourselves part of this dynamic community of individuals. The medical care we provide is a reflection of our dedication to making the Yuba City area a better place to live. At Yuba City UrgentCare, we recognize the fact that medical care can cost a great deal of money, and that not every family has the means to pay for superior medical care such as is offered at our facility. That’s why we try to keep costs at a manageable level, with the bulk of it being supported by insurance coverage, and as little as possible being assigned to the individual who has to pay out-of-pocket. This is sometimes a difficult thing to balance, i.e. providing top-notch medical care while keeping costs down, but because it is of such great importance to many of our clients, we make the extra effort to keep it in mind for all cases. We are able to work with practically all health insurance providers, so that most claims can be handled promptly, and with minimum hassle to all parties concerned. We also recognize that it would be completely unfair to exclude individuals who simply don’t have the health insurance coverage they would like to have, but who still have need of urgent care to handle some kind of crisis. To help people in this situation, we offer a cash pay option of only $70 per visit to our urgent care facility in Yuba City. We feel that all individuals in the region should have the opportunity to avail themselves of quality healthcare, regardless of their financial status. Contact Yuba City Urgent Care Today! We understand that you have choices when it comes to seeking urgent care for yourself or for members of your family when the need arises. We hope that you will contact Families First Health Center before calling anyone else, because we are confident that it’s the only call you’ll need to make. 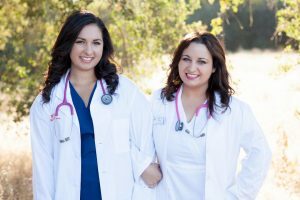 For the combination of best care, most affordable prices, and the most congenial and compassionate service anywhere in the Yuba City region, you should contact the medical professionals at Yuba City Urgent-Care. We think you’ll end up agreeing that our urgent care facility should be your go-to urgent care clinic for any and all illnesses, injuries, or mishaps. Families First Health has been providing reliable, effective urgent care for over two decades. We have treated thousands of urgent care patients with all types of injuries and ailments. When your family is sick or injured the best treatment for your loved ones is what you want and what you need. We are proud to provide the very best urgent care at reasonable prices in the Yuba City, and Gridley areas. We are able to help treat the majority of patients who we see but will also quickly refer to you another provider should the need arise. If you have an emergency, please do not hesitate to dial 911. To this end we are committed to rendering friendly, compassionate, and efficient medical care for your family. When you enter our facility you will find a warm and inviting environment with a friendly, professional staff who care for your personal needs and strive to provide the very best in medical care and customer service. We pride ourselves for providing minimum wait times and maximum results! Here at Families First Health, our doctors also understand the rising cost of medical care and the importance of minimizing out of pocket expenses whenever possible. We always strive to minimize costs while still providing the very best in urgent care and family medicine. We accept most insurance and can process your claims with minum hassle and red tape. If you do not have insurance, thats OK! You can take advantage of our every day low price $60 cash pay for your visit. Its Fast and its Easy!